Description Promotional artwork for an electronic music event in Thessaloniki (Greece). Hosted by: Ison (Non Team). 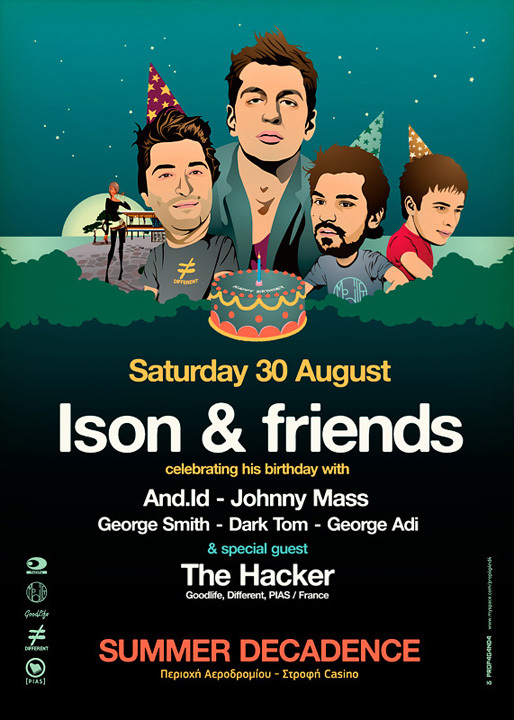 Guests: The Hacker (Goodlife, Different, PIAS :: FR), And.id, Johnny Mass.